One of the most challenging aspects of a healthy lifestyle is the struggle to come up with meals that are both healthy and tasty every day. Bariatric Health & Wellness has all but eliminated this problem, as we offer health-conscience people a large variety of tasty foods, from pancakes and pizza to plenty of delectable desserts, all low in calories, high in protein, and available in concise, healthy portions. The only drawback of having so many delicious options for each meal of the day is narrowing the list down. Which foods from Bariatric are your favorites? Which will be the best for helping you stick to the healthy lifestyle that you have sworn to? In order to help you quickly identify which of our foods you like the most, we have put together the 2 Week Best Seller Sampler Bag, comprised of 84 of our most popular meals for breakfast, lunch, dinner, and dessert. With just two weeks of healthy eating packed with flavor, you will have gotten a taste of all the best that Bariatric Health & Wellness has to offer and can successfully map out your meal plan for the coming months. Foods included in the Sampler Bag include bacon and cheese omelets, chicken pasta, flavored barbecue chips, peanut butter crunch bars, cream of chicken soup, and a whole lot more. Not only is the Sampler Bag delicious and conducive to achieving your health goals, it is also currently priced at just $150! Two weeks of great tasting, low calorie meals for an amazing price. 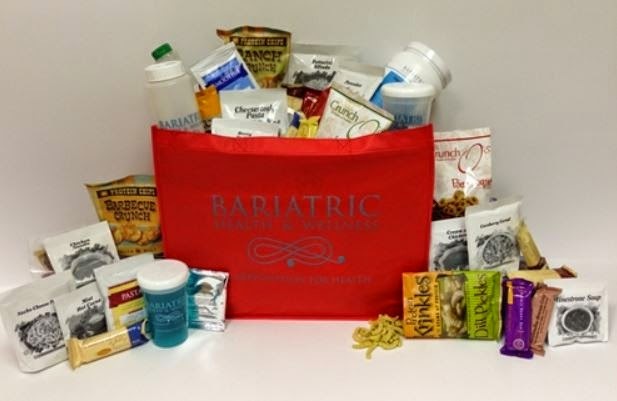 Learn more about the Sampler Bag and other great tasting foods that you can enjoy without the guilt at Bariatric Health & Wellness.